Mit " Watch It! 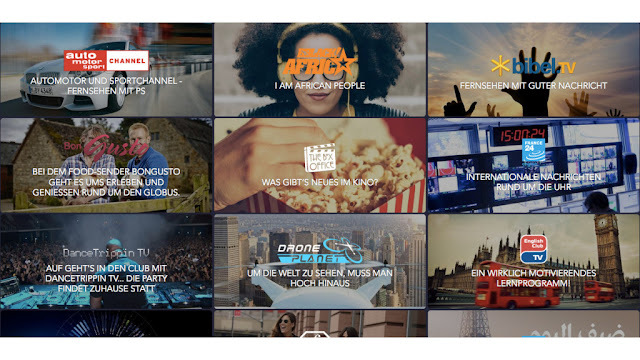 "A new streaming app has been launched in Germany. The offer of the Düsseldorf company Alchimie does not simply serve the masses, but is aimed especially at an audience with special interests. In addition to films and series from the Internet, the service mainly brings smaller TV stations to the PC and the mobile device. Watch It! Is available for PCs, smartphones, tablets and smart TVs. Via Apple's AirPlay and Google Chromecast you can use the app on the TV. However, the big known TV stations can not be found here: Users are currently testing the streaming of TV channels such as "Motorvision TV", "Moods TV", "Dance Trippin". The selection of categories includes, in addition to motor sport, combat sports and other extreme sports a number of international channels, music transmitter and drones TV. Alchimie also wants to offer own content from video producers and YouTubern over the platform. The company promises up to 35 hours of current content every week. After a free trial, users pay 9.99 euros per month for the ad-free service. The subscription can be terminated at any time.